If you’re like most of the cigar smokers who check websites and peruse walk-in humidors for new brands, this is a stressful time. Just five initials (IPCPR) cause sweaty palms and a burning sensation in the pocket where you carry your wallet. 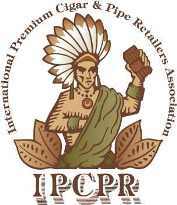 Yes, it’s almost time for the 77th annual International Premium Cigar and Pipe Retailers Association Trade Show. That means new cigars, new line extensions, new lighters, new ashtrays, and new gimmicks. I especially look forward to all the new knick-knacks that no one needs and, more likely than not, few will buy. Like Sirens, the latest and greatest cigar creations lure us—and our dollars. We’re hopeless to resist. In fact, the only saving grace is that after you’ve read about all the new cigars (StogieGuys.com will have live updates from the Trade Show floor starting this weekend), you actually can’t find them anywhere. Months later, when they finally appear in quantities greater than a salesman’s samples, we’ve forgotten all about them. Maybe that’s why so many of the new cigars don’t seem to last. Or maybe we’re just overloaded and the industry is overextended. I sat with my eyes closed the other night, enjoying a cigar, and ticked off a seemingly endless list of names of different cigars available right now. Heck, it’s hard to maintain enough butane in the lighter to ignite them all. This year, though, I’m ready. I have created a special amulet to ward off the spell of new cigars: a little pendant made from the Swisher Sweets shield. That should work, don’t you think? "…a little pendant made from the Swisher Sweets shield…" – HILARIOUS! I agree with you about new brands that keep coming out. I mean seriously, between all the brands currently on the market all the flavor combination and profiles have been created in my opinion. I've tasted almost fifty brands in the last 3 years and have finally arrived at the top ten I would care to buy in large quantities…and given another 3 years I'm certain that list will drop to five. I guess that's part of getting older, getting to know what you like and enjoying it well instead of constantly chasing the next thing around the corner. C'mon, you mean you aren't excited to hear about the 15 new blends that Don Pepin Garcia has worked up for his own lines and for pretty much every other purveyor of fine smoke out there? I'm looking for the White Owl Edicion Limitada and the hand-painted, hand-numbered and autographed boxes celebrating Wegottabuncha Cigar's 8 consecutive months in the business. Dutch Masters: Artist Series! The Rembrandt. The Vermeer. The Brugghen. While I love to try some new Cigars every once in a while I still love to have my Cubans on a regular basis. It can be hard to find them from time to time, or well, it was until I found out about http://www.gocubans.com/ Just a tip- try out there sample packs first. don't order a case of a brand you have not tried (big mistake I made) But if you know the brand and love it well like all things it is cheaper to buy in bulk.